The Super Lift Upper Tray fits all model year Streeter Super Lifts, quickly attaching to the Control Handle bars. 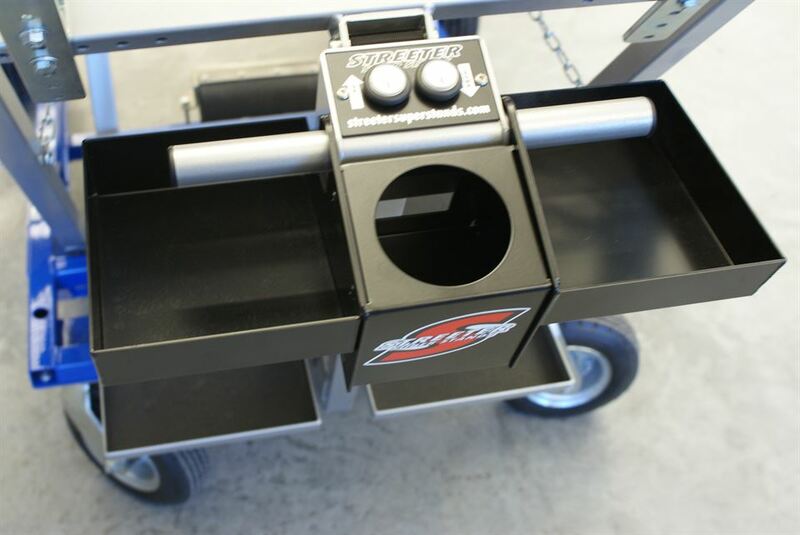 This handy tray is nice for tool and parts storage when working in the pits or post-race tech. The center section will hold a water bottle, pop or your favorite beverage. Durable black powder coat looks great with any color Super Lift.